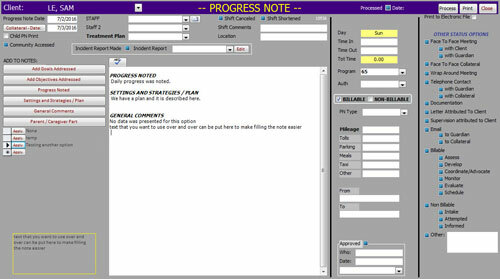 Seguin EMR was developed in front of medical professions to operate with their daily workflow. We worked extremely hard to make our technology functional and powerful while focusing on ease of use, enabling the task that matters most, Patient Care. Seguin EMR can be client/server based or cloud based. It will fit with your business and your desired form of presentation. Client/server based software puts all the control over delivery in your hands. You supply the hardware and access to the software while the cloud based takes all the hardware out of your hands and delivers a monthly access fee, letting us deliver the user access onto any machine (PC, Mac, or tablet). Seguin-EMR interfaces with Seguin-Billing and Seguin-HR to complete a world class practice management system.